Hot summer days are here, and the bite during the middle of the day can be slow. There is a short window of opportunity where there will be low light conditions and cooler temperatures in the early morning and evenings. Many bass will feed throughout the night. The temperatures are cooler making it easy for them to hunt without expanding too much energy. Plus, bass prefer feeding during low light conditions because it will give them an advantage over their prey. Bass will feed by sight even when it is dark out. Color is a controversial topic when it comes to night fishing. Do crawdads, bluegill, trout and other creatures change color at night? No, a green crawdad is still green and a rainbow trout is still rainbow. Many colors will catch fish at night. But, dark colors do seem to work best and can be easily found by fish that are feeding by sight. It takes light to make color. 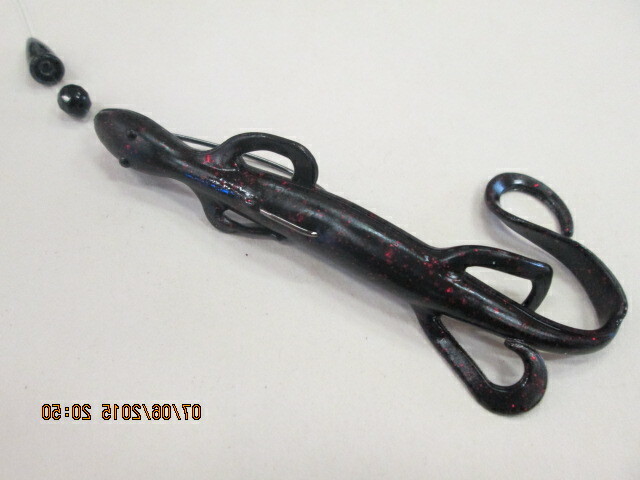 Baits void of color (black) will create a strong silhouette. Light colors will disappear during dark of night and become camouflaged with the surroundings. Bass will also feed by feel. The dark line that runs down the side of a bass is called the lateral line. Bass will use this line to detect vibration and water displacement. They can feel other fish and creatures as they move through the water. By far the most fun and exciting way to catch bass at night is on topwater baits. You can hear the explosion of the bass smashing the bait on the surface. For bait selection, try using a lure that is easy to retrieve. A buzzbait is great for night fishing. 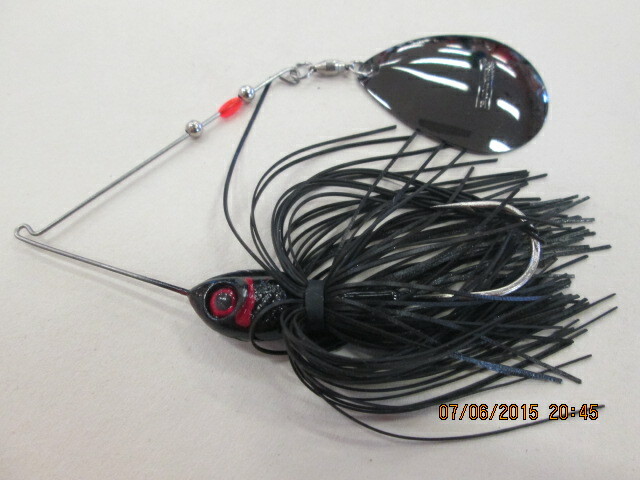 It is a chuck and wind bait, and is very audible. You can hear the lure is working properly. A Whopper Plopper is also a great night fishing topwater bait. 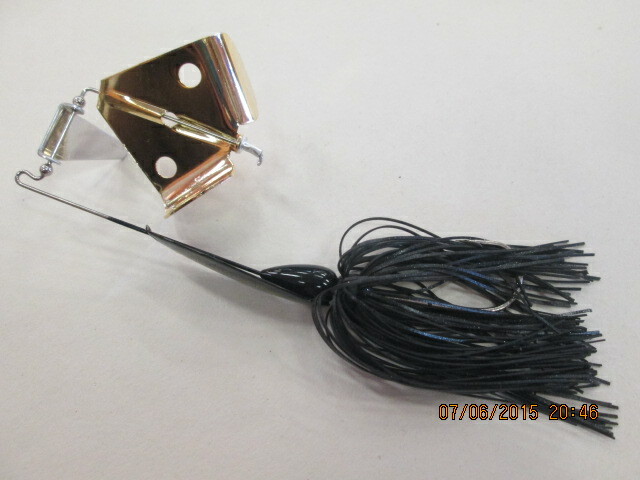 It is very similar to the buzz bait but the Plopper can be paused and twitch near structure. This will give the bass more time to locate and eat the bait. Sometimes the bass won’t commit to surface plugs. At this time it is best to target the middle of the water column. 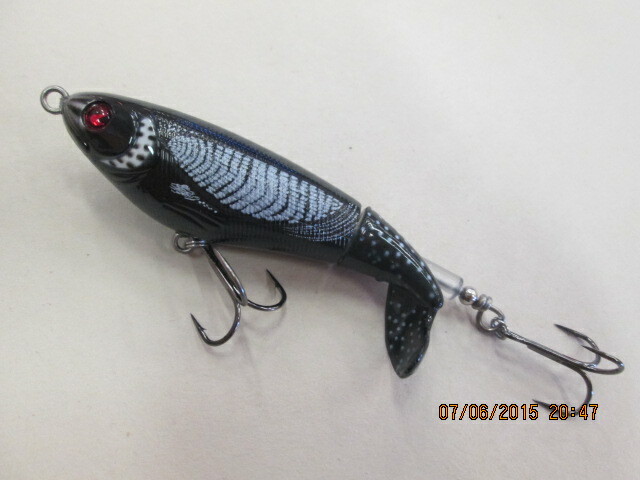 A ½ or ¾ ounce black spinnerbait is a great choice. A spinnerbait can be fished at various depths and there are a handful of different ways to present the bait. A Colorado blade creates more sound and vibration than a willow blade. This thumping rotation of the blade will be detected by the lateral line of the bass and it will travel from a distance to investigate. Try dragging bulky soft plastic baits if the fish are being a bit sluggish and not wanting to chase, or if they are feeding on bottom dwelling creatures. The larger profile baits will disperse water and attract nearby fish. It is a good idea to add a small bead to your presentation. The bead will sit between the hook and the weight. Each time they separate and come back together it will create a ticking noise. Once again the sound will help bass locate the bait. The next few months will be hot. Head to the lake in the evening when it has cooled down and try fishing into the night. Be sure to bring a few extra flashlights.